Great Lakes Wind Truth / Cleveland LEEDCO / Isselhard letter to OPSB: Icebreaker has no public need. Facts are overwhelmingly against this proposal. Re: Docket Number 16-1871-EL-BGN, Icebreaker Windpower, Inc. 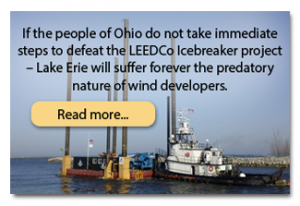 I am deeply concerned about the future of the Great Lakes and Lake Erie in particular being transformed into an industrial site by the Ohio Power Siting Board permitting the development of an offshore wind factory called the Icebreaker. I believe there are numerous compelling reasons for denying Icebreaker Windpower Inc. a certificate of environmental compatibility and public need. 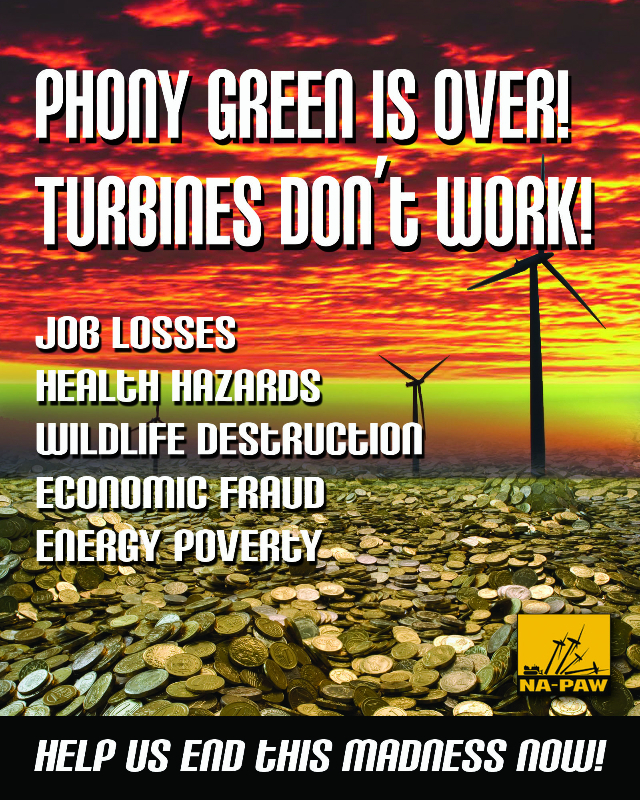 There is no need for the 6 offshore turbines planned for this demonstration project as the OPSB has permitted numerous terrestrial wind projects to supply Ohio’s renewable energy needs. Cleveland’s population has dropped substantially as people are fleeing the city lessening the need for electric power. 8) NEPA Comments – USFWS provides citations from CEQ NEPA regulations and argues that the project warrants an EIS-level analysis and recommends DOE conduct an EIS (Environmental Impact Statement), not an EA, for the project. 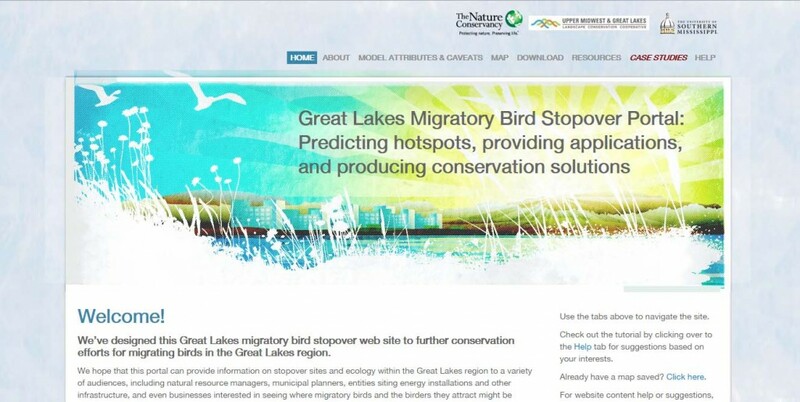 If there ever was a project that needed an EIS approval – this is the one – yet I see nothing that indicates an EIS will be conducted relative to the Icebreaker project despite the above recommendation by the USFWS. For a project of this overwhelming magnitude the OPSB should compel that an EIS be conducted before voting on the Icebreaker project as recommended by the USFWS. 1502.4 Major Federal actions requiring the preparation of environmental impact statements. (c)(3) By stage of technological development including federal or federally assisted research, development or demonstration programs for new technologies which, if applied, could significantly affect the quality of the human environment. Statements shall be prepared on such programs and shall be available before the program has reached a stage of investment or commitment to implementation likely to determine subsequent development or restrict later alternatives. The information within CEQ NEPA (c)(3) clearly mandates that this project should be required to conduct an EIS as it is federally assisted and a demonstration project for new technologies and may impact the human environment. The USFWS also refers to information within CEQ NEPA regulations demanding that the project should be required to develop and conduct an EIS. 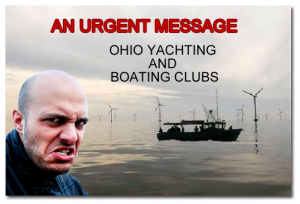 Lake Erie is not owned by the OPSB – it is partially owned by the people of the state of Ohio. The lake is also partially owned by the people of Pennsylvania, New York, Michigan and Canada’s Ontario. In the Lake Michigan 1892 legal case Illinois Central R.R. Co. v. Illinois, 146 U.S. at 453 it says “The State can no more abdicate its trust over property in which the whole people are interested, like navigable waters and soils under them, so as to leave them entirely under the use and control of private parties … than it can abdicate its police powers in the administration of government and the preservation of the peace.” The application to the OPSB is from Icebreaker Windpower Inc. – a private foreign company – a for-profit company that looks forward to making a profit for their shareholders. For the OPSB to allow this project is the abdication of Ohio’s trust to act as responsible stewards of Lake Erie and for the OPSB to grant a certificate to Icebreaker Windpower Inc. is contrary to the principles of the Public Trust Doctrine and in conflict with this landmark decision from 1892. In the seminal case of Illinois Central R.R. Co. v. Illinois, 146 U.S. 387; 13 S. Ct. 110; 36 L. Ed. 1018 (1892), the United States Supreme Court plainly held that the Public Trust Doctrine applied to the Great Lakes. The Court recognized that the doctrine “is founded upon the necessity of preserving to the public the use of navigable waters from private interruption and encroachment, a reason as applicable to navigable fresh waters as to waters moved by the tide.” Illinois Central R.R. Co. v. Illinois, 146 U.S. at 436. I believe the Public Trust Doctrine also applies to the public’s use of the lake for swimming and boating recreation and would cause a private interruption and encroachment of the public’s swimming and boating rights as well as fishing and navigation issues. I also believe that the erection of 479 ft. tall offshore wind turbines is a gross private interruption of the public view shed and contrary to the Public Trust Doctrine principles. 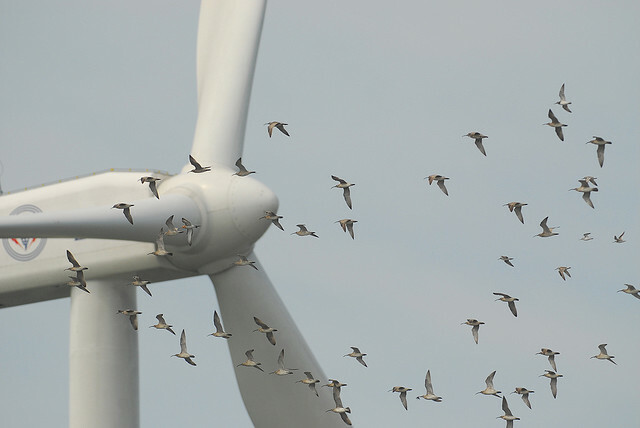 I also believe that the turbine’s flashing red strobe lights are a private interruption and encroachment of the public’s right to darkness over Lake Erie and may also interfere with avian life. I also believe that fog horns mounted on the turbines are a private interruption and encroachment of the public’s right to quiet over the lake and may also interfere with avian and marine life. The decibel level of the fog horns has never been released despite my requesting this information via the FOIA process. Who could have possibly anticipated in 1892 the gross private interruption and encroachment issues this offshore wind project will bring if the OPSB approves it? The OPSB is a 7-member committee that is a non-elected bureaucracy seemingly with the power to permit the Icebreaker offshore wind project. It’s possible that when the OPSB votes on this project that the vote might result 4 to 3 in favor of the Icebreaker. I find it appalling that with just one majority vote the OPSB could industrialize Lake Erie with offshore turbines and set a horrible precedent for all the Great Lakes in the future. And that 1 majority vote could be for personal reasons and not for the benefit of the people of the state of Ohio. This wonderful natural resource could become drastically changed forever as a result of just one OPSB vote – is this for the greater good for the people of not only Ohio but the other neighbor states and province as well? In my opinion the task to be undertaken by the OPSB in this matter that may allow this project is illegal and will eventually be challenged in the court system and see the OPSB approval decision reversed if their vote favors the Icebreaker. Ohio, within its boundaries, holds the lake and bottom lands “in trust for the people of the State that they may enjoy the navigation of the waters, carry on commerce over them, and have liberty of fishing therein freed from the obstruction or interference of private parties.” per Illinois Central R.R. Co. v. Illinois, 146 U.S. at 452. Icebreaker Windpower Inc. is a private foreign business. This illegal project could eventually be sold to another foreign party and soon other foreign parties will appear to stake out the lake for installing hundreds or thousands of offshore turbines for their profit while Americans (and Canadians) regret and suffer the consequences and loss of their Great Lakes forever and witness a hooligan’s circus upon drinking water for millions of people thanks to a poor OPSB decision. Why should the OPSB be allowed to give away this precious resource to a foreign company? And will $40m+ taxpayers dollars assist in this debacle? There are companies at work right now attempting to design floating offshore wind turbines that can be placed anywhere and ignore unfavorable bathometry and the associated problems. At the very least it should be the people of Ohio that vote for or against the Icebreaker – not an unelected committee of bureaucrats that may not use or live near Lake Erie. If the residents of Ohio voted to industrialize Lake Erie in Ohio’s waters – then so be it and the generations that follow can suffer from their ancestors poor decision. Cleveland, to finish the engineering and permitting; procure the turbines, foundations, electrical substation, and cable; install and commission the Facility; and own and operate the Facility. There is no need for the Icebreaker and the harm it will create as right now there is a more promising private electrical energy project being planned involving Lake Erie. The ITC Lake Erie Connector is a proposed 1,000 MW, bi-directional, high-voltage direct current (HVDC) underwater transmission line (cable) that would provide the first direct link between Ontario and the largest electrical market in the world – 13 U.S. Midwestern and Mid-Atlantic states. This 73-mile cable will be buried under Lake Erie water between Nanticoke, Ontario and Erie, Pennsylvania and avoid all the numerous problems now being considered with offshore Lake Erie Icebreaker turbines. Public member, Gregory Murphy, P.E. Lake Erie cannot speak for itself but the deplorable Icebreaker facts do shout loudly that there’s no need for this project. The OPSB should reject this project based solely on lack of need.